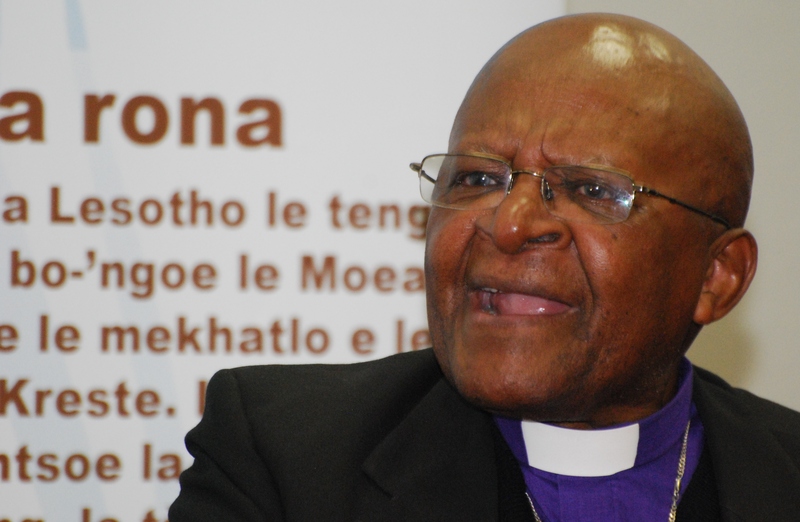 Bishop Tutu Urges Peace in Upcoming Lesotho Elections | Jordan Ink. 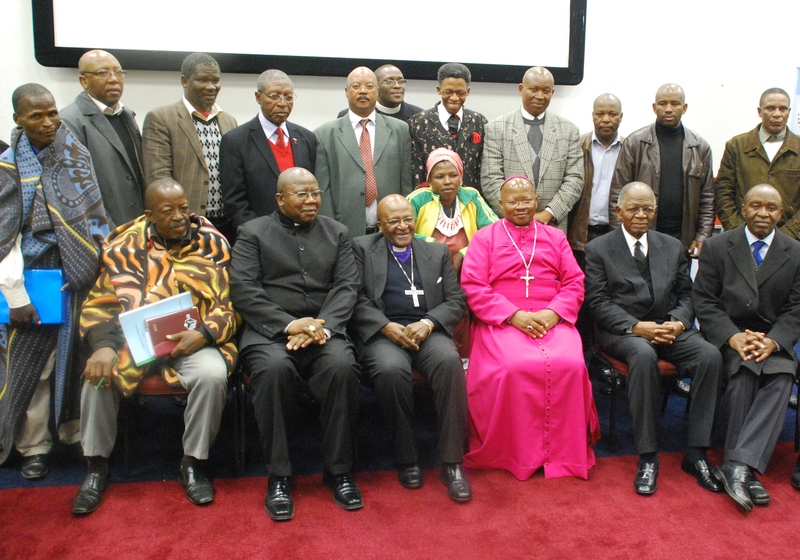 In the mono-ethnic, mono-lingual country of Lesotho – almost entirely comprised of the Sesotho-speaking Basotho tribe – there’s less a focus on the carrot-and-stick diplomacy of outsiders than an emphasis on nurturing home-grown mediation between the feuding factions. It’s led by a coalition of churches and cultivated by the UN, which has invested heavily in technical assistance. External interventions routinely foster resentment with locals and prove unsustainable, said UN Resident Coordinator in Lesotho Ahunna Eziakonwa-Onochie. Nevertheless, many Basotho in the capital, Maseru, openly worry that the political process is slowing unraveling and may descend into the spasms of violence that have marked modern Lesotho. For centuries, the Basotho were simple herders and subsistence farmers, dwelling at Africa’s highest altitude, expressing a fervent wish for “Khotso, Pula, Nala” – Peace, Rain, Prosperity. Independence from Britain in 1966 was followed by heavy-handed rule, then a military coup, and uneasy constitutional monarchy. Accusations of vote-rigging spurred violence in 1998, and South Africa invaded with 700 troops. Dozens of South Africans and Basotho were reportedly killed, and arsonists targeted South African-owned shops in Maseru and elsewhere. Against this backdrop of political volatility, a nation of 2 million has deteriorated, suffering the world’s third-highest rate of HIV infection and 40 percent malnutrition among children. Beaten down by poverty and HIV, agitating for democracy seems a luxury. Meanwhile, more unrest followed the 2007 elections. Over the past two years, the UN has guided the authorities toward passage of a new electoral law, which enshrined compromise and power-sharing. Yet recent months have seen a return to a win-at-all-costs ethos. Some Basotho said last week they fear a return to the trauma of 1998, especially after the April 19 clashes at a pro-government rally, when opposition activists rushed at the incumbents and were beaten by baton-wielding security. Ten Basotho were reportedly hospitalized. 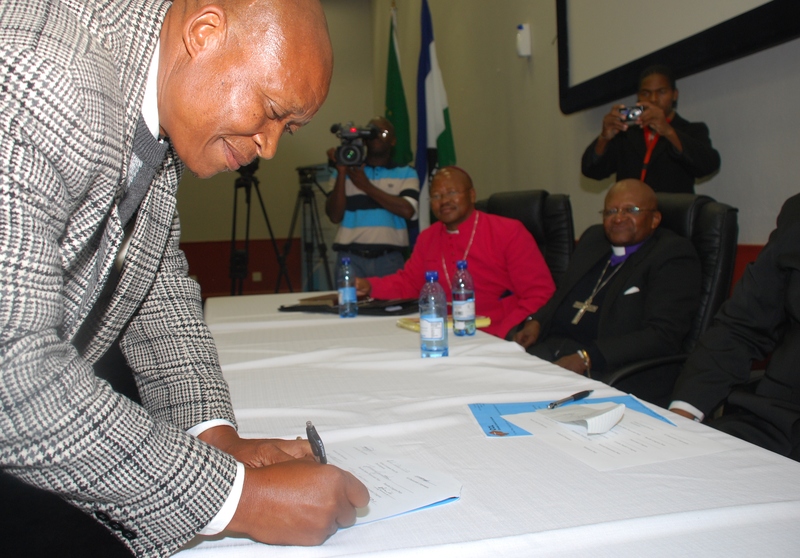 In response, Prime Minister Pakalitha Mosisili encouraged supporters to “retaliate with all your might” if attacked, while the Lesotho military has vowed to “hit very hard” any provocateurs. So much for the country’s new “code of conduct” law, say some Basotho. Enter Bishop Tutu, the octogenarian orator who charmed his audience by mixing in large doses of Sesotho. He also conjured images of the African killing fields of Rwanda, Democratic Republic of Congo, and the Darfur region of Sudan.